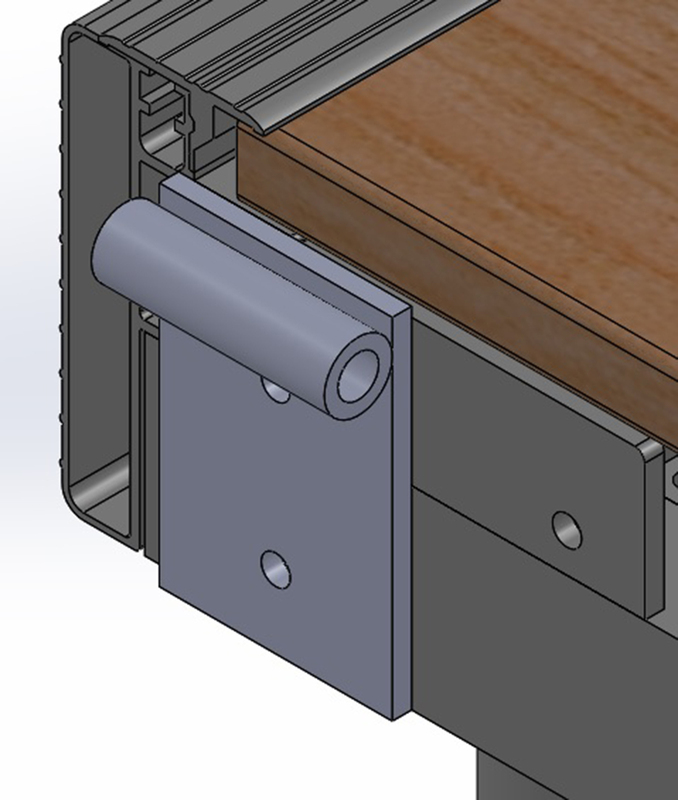 R&J’s exclusive side extruded aluminum docking incorporates all the high end features without the associated costs. 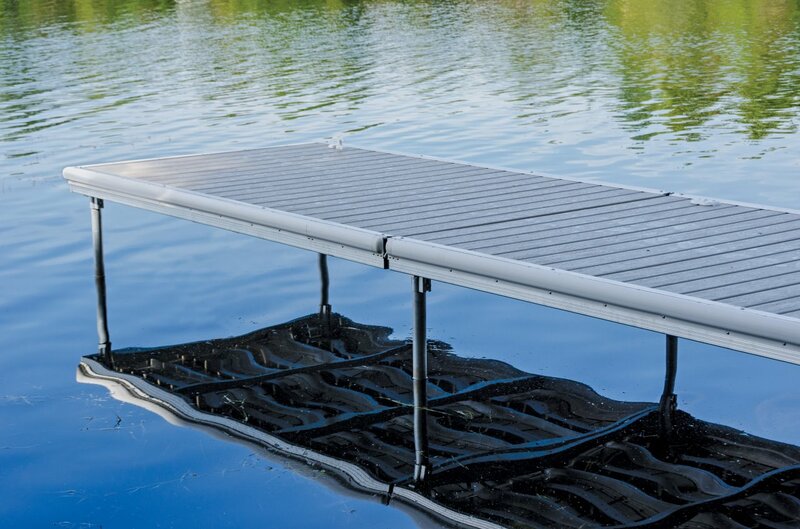 Our WaveX dock was designed as a mid-weight, low profile deck ideally suited for canoes, kayaks, and mid-sized boats. 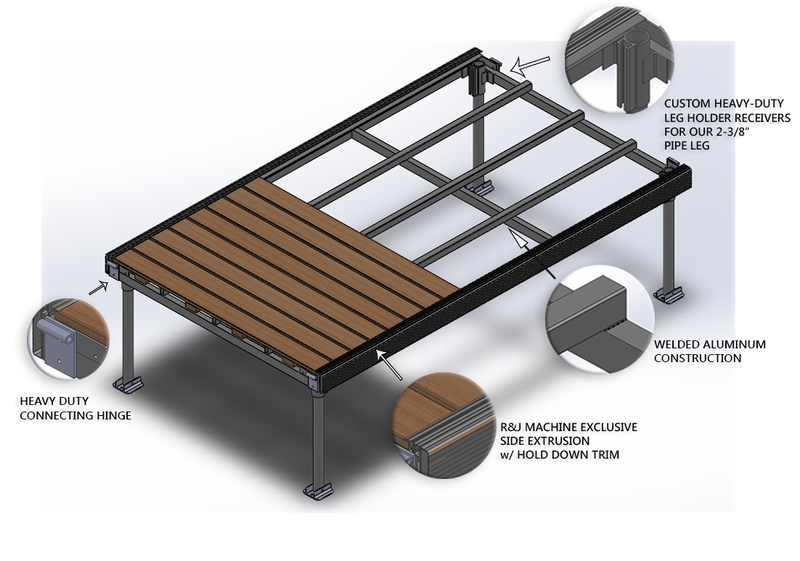 Our WaveX docks are available in frame only configuration or with 2’ removable decking panels in 1-1/4” PT Sienna, Western Red Cedar or PVC Decking. 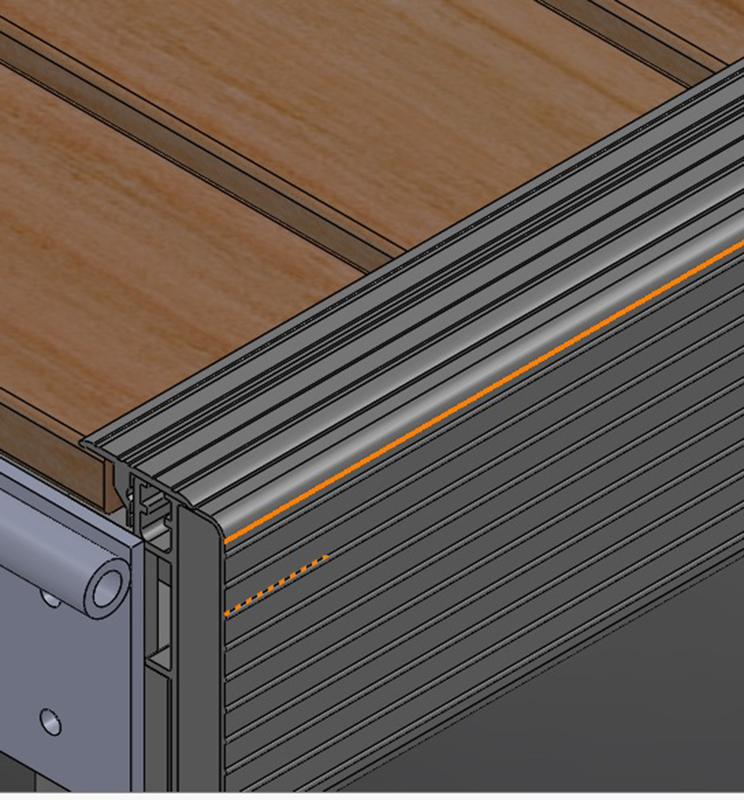 Decking panels are available in 5/4 PT Sienna, Western Red Cedar, PVC Decking or optional aluminum decking. 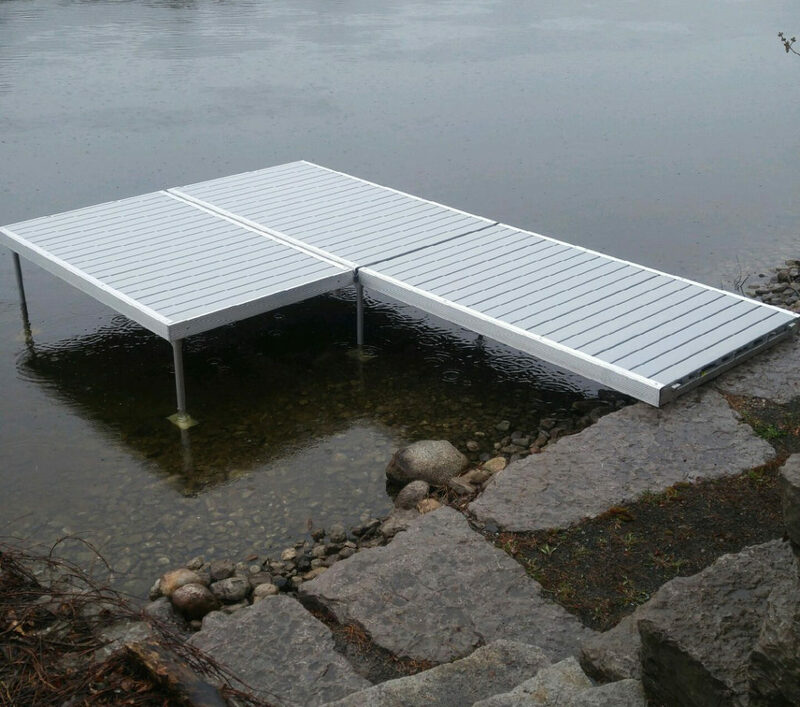 WaveX Modular docks are available in 10′ lengths, and 4′, 6′ and 8′ widths which allows for endless dock configurations. 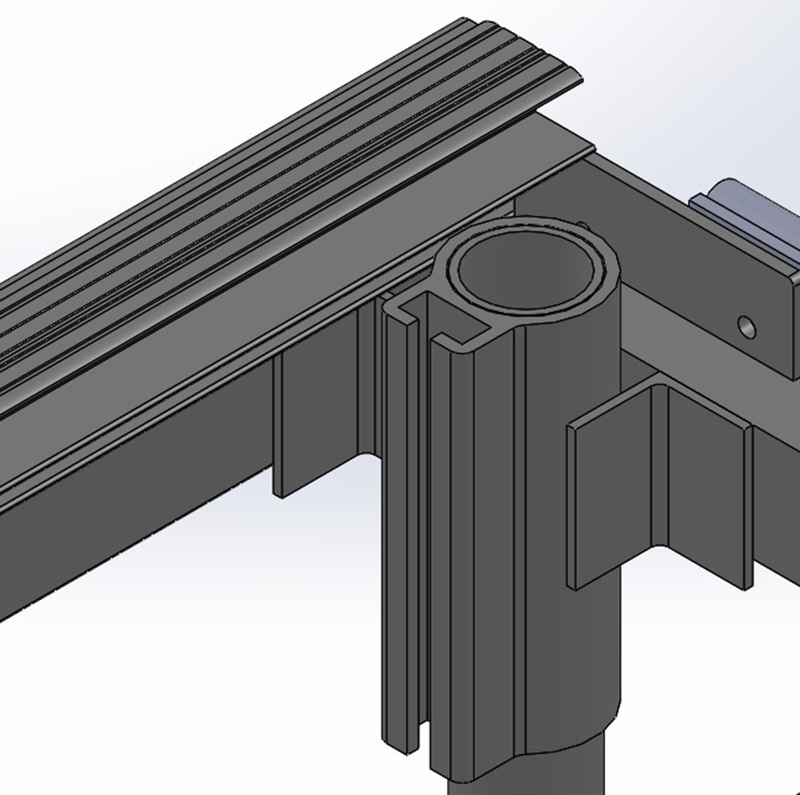 Designed as a mid-weight, low profile dock ideally suited for canoes, kayaks, and mid-sized boats. 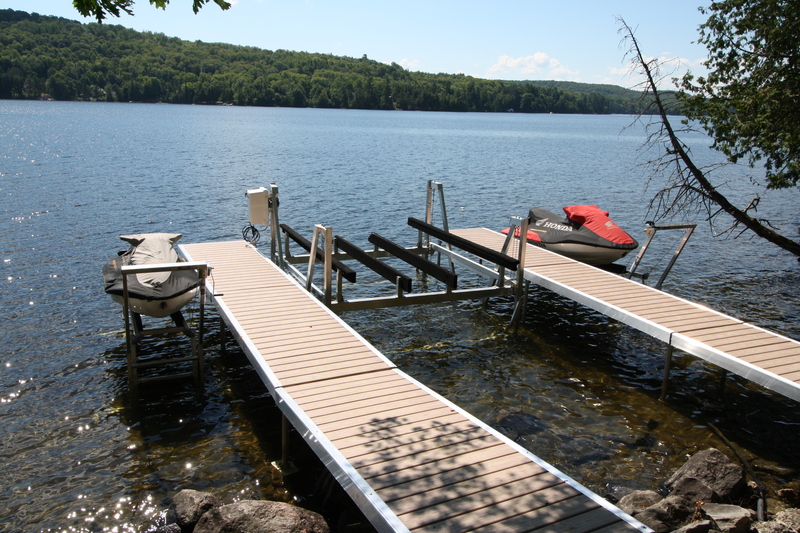 Fish Friendly Dock Structure – Pipe docks have minimal contact with the lake bed because only the base of the legs come in contact with the lake bottom. They provide minimal shading of aquatic plants and the height can be adjusted with water fluctuation. 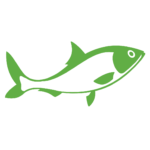 Pipe docks allow the water to flow freely beneath the framework while still providing a shaded, protected area for fish to gather.